Rapid industrialization and population explosion as well as agricultural developments have brought about dramatic changes in the environment. Developing countries like India are now facing a major problem i.e. environmental pollution. Environmental pollution may be caused by various physico chemical pollutants released from various industries and advanced agricultural practices. In addition to the chemical particulate pollutants, the air, soil and water borne biocomponents are also responsible for various types of allergic disorders and diseases to human being. Besides that they also cause major loss of crops, vegetables and stored organic materials. The book covers environmental polution and related management strategies that might lead to imporvement in the environment—safer for living organisms. It is with this intention that the chapters have been devised, which include : l Environmental Pollution: Definition and Meaning l Types of Pollution l Marine Pollution and Environmental Impact l Regional Arrangements for Marine Environmental Protection and Pollution Control l Measuring Environmental Pollution l Foreign Assistance to Developing Countries for Maintaining Environmental Pollution l Evaluating Progress of Environmental Pollution l Environmental Pollutants l Biological Indicators of the Quality of the Environment l Managing Pollution from Radioactive Substances l Toward a Sustainable Global Environment. 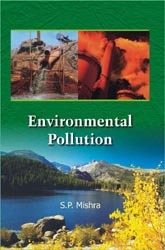 The book will definitely serve as a reference material for teachers, researchers and students of environmental science.